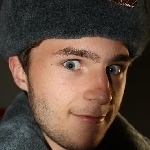 Sovietarmystuff.com • View topic - Hello, Im a new kid. Hello, Im a new kid. Post subject: Re: Hello, Im a new kid. You can say that Again mate! Polish Teacher (Dr in Physics), Talk to him one time, He Learns that Im learning Russian, Instantly starts looking at me like im some kinda 'KGB' Agent or something! You can't base your answer on the views of two people... After the death of the Polish president in the plane crash that happened not only a few months back, the Russian Federation showed Poland it's true colors by attending the funeral and making sure the concerns of the Polish people were addressed. But there will be always two sides to this story due to the perceptual differences of people in general. The bigger point of the matter is this; Poland will choose to be on the winning side this time, and the best way that Russia would get them to join them in a heartbeat would be to let them invade Germany first. It's only a smart decision to ally yourself with the big bear when he's only a few stone throws away. But back to the question of uniform inspections; from what I understand, not so much. Collar liner must be there, collar must be opened (unless during winter with winter uniforms) with insignia on the tabs, undershirt tucked in, cap insignia needs to be there, just the basics, I don't know much details but usually Russia is more lax than the U.S. is with uniform and haircut requirements. Well said Taurus and thanks. Sorry for all the questions, I just like talking to someone who knows their stuff. The history of the world is the sum of our mistakes. I know this Polish guy, he's a very good friend of mine. He's extremely anti-communistic, but he says that most of the Poles love the Russian people, as well as the Ukrainians, as if they were their brothers. What I've heard from most of the Polish people I've met is that they do dislike the communist rule, but they care a lot about their brothers in Russia, and other Easter European countries. My answer isn't based on the views of two people. My wife is Polish as I said before. Half her family still lives in Poland. She herself grew up there. All her friends and relatives are there. She has friends and relatives and school mates all over the country. She lived in Chicago in the absolutely HUGE Polish community there. In fact Chicago has the largest population of Poles outside Warsaw. I think my answer is based on fact and what I've been told and by whom. I am very close the Polish community and those in Poland every day. My mother-in-law and brother-in-law live there as a matter of fact. My sister-in-law lives in France. The Polish people are NOT big fans of the Russians. You can choose to believe otherwise but it's the truth. The absolutely do not look at Russians and Ukrainians as brothers. Poland is one of the few countries that even sent soldiers into Iraq this second go round just because their alliance is so strong with us. Polish visas are held in higher regard and Polish people get more visas and opportunities to come here than most other countries. I don't see massive immigration to Russia. Poland would NEVER side with Russia over the US. Poland was going to let us put anti-ballistic missile defense systems in their country until Russia saber rattled enough to make us pull back. The Katyn massacre is certainly still strong in many people's minds and for sure isn't forgotten. In fact, many people Polish were suspicious the crash of the plane with the Polish government was, indeed, another set-up. The don't trust the Russians. They may smile and look nice and say, "yes, the Russians are ok" but they still don't trust them. You really think that the Russian massacre of 25,000 people in the Katyn forest is just forgiven because it's been 70 years?? The only reason the Polish government went was because the Russians finally took responsibility for what they did 70 years later, and stopped blaming it on the Germans. Again, I say, ummm nope. The Russians and the Polish have been at odds with each other for hundreds of years. I think you need to read a bit more history. The Polish aren't too happy about having their country taken and forcibly occupied by Soviet Russia for the entirety of the Cold War. Agreed, they aren't fans of the Germans either. "Someone who knows their stuff." Right, that would be me as well, not a slam at Taurus at all, but come on. I'm 41 years old so I've been around the block a few times. I'm talking from real life experience as well. I have degrees from Purdue university in English Literature and History. I also attended the University of Illinois at Chicago and have a further background in education. I'm an amateur military historian with heavy emphasis on the American Civil War, WWII and modern conflicts and warfare. I've written tons on those conflicts and visited and walked most of the major battlefields here in the US. Some multiple times. I'm a collector of military weapons and equipment from flintlock and Civil War percussion weapons up to and through WWII and modern military weapons, and am highly skilled and read in their history, use and background. Anything else? Just putting it out there. Even with your 'extensive knowledge and personal experience,' with what might be a .0006% of the entire Polish population, I still don't see any evidence that shows that ALL of Poland hates Russia and is open about it. The information I am basing my claims on is governmental and military, not based on civilian testimony. Show me a published article from a military official or respectable politician that speaks for himself, Poland, and the people themselves when he speaks out of hatred for the Russian people and maybe I'll change my view, maybe. I didn't reference Katyn Forest to boast about the deeds of the NKVD, who I might add did not represent the views of the Russian people but only that of Stalin and their own, but to show a reference of how two countries can put aside old grudges for the sake of their people, throw away all pride and openly speak their mind and come out on good terms in the end. It shows mutual understanding and a sense of hope between the two countries after so many years. And let me also note that my point when saying 'the views based on two people,' was directed at your reference, and Jake's reference, not specifically your own. And I am well aware of the suspicious opinions of the plane crash, the fact of the matter is those are not facts, they are speculative opinions on the event that aren't taken for face value. Just like there is two ends to the terrorist attack on 9/11, there will ALWAYS be numerous opinions for one event. And we may very well never know the truth, but we don't know that we don't either. But aside all that, let me get one thing clear; I don't speak for the Polish people, I made sure to state clearly and concisely that when I finished speaking of my THEORIES as to who would join in alliance with the theoretical world war 3, that they were just that, THEORIES. It's fun to talk about it and make out these theories, that's what we do on SAS, hell I even put out a few good points for making those theories, but I never said that I spoke for the people of Poland like some political poppet who thinks he knows the entire country inside and out. I spoke in light of the fact that if WW3 did break out, the logical decision for Poland's preservation would be to ally with Russia who is only a stone throw away... Which was also, just a THEORY. And so you say you're not trying to 'slam,' me? What the hell were you meaning in your second paragraph then? Particularly the bit about, 'needing to read up on my history,' you're talking up a storm against a person who specializes in RUSSIAN military history, particularly that of the current special forces and the war in Afghanistan and Chechnya. No, I don't know everything and I don't ever claim to, but don't go off on me and start throwing out your degrees and hobbies like they are written in stone proof that you know more than I do about history in general. And to be frank I could care less about your experience in Civil War history and history in the U.S., that holds absolutely NO water on a Russian Military forum. On that note, you come on a Russian military forum based out of Ukraine and start talking about how Poland hates Russia and how your immediate family hates Russia, in return making it pretty presumable that you hate Russia too and you want to talk it all up against supporters of the two countries? We have a veteran from Chechnya on this forum who also happens to be the administrator for Christ sake, and since I apparently offended you with our for-fun conversation about WW3 just because we referenced Poland once in the original post, you think this will go over well for a person who fought for Russia? This doesn't go over well for me either pal, and it sure as hell won't for the other people on this forum who just want to have a good time. The majority of the people come on this forum to have a decent conversation about a lot of 'what-if' scenarios, and I don't take kindly to the 10% of forum users who come on here and start a rage war because he doesn't feel the need to argue his opinion in a respectable manner without thrashing members of the forum. If you want to do that go on a U.S. airsoft forum, and if you want to talk about real history, there are threads for that, but not here where we're trying to indulge in a theoretical scenario while at the same time helping out the new guy in finding out what he needs to know. And I think that's enough about that. You seem to be taking very personally the fact that all I did was disagree with you. I also never questioned or even commented on your knowledge of Russian militaria et al. That wasn't the argument was it? I simply disagreed with the fact that Poland would side with Russia. My comment about reading up on your history is alluding to the FACT that Russia and Poland have been at odds for HUNDREDS of years. Nothing more. Since when, exactly, is disagreeing with another's post considered rageful or disrespectful? Seriously? Let's start again then, ok? I wasn't offended nor will I be. Takes a bunch more than that to offend me. I'm super open minded and super rational. Hi. Cheers! Death to the Mujahideen! LOL!! That's more where I'm coming from. I wouldn't be here and posting if I was trying to pick fights with you all. CW: I understand what you mean, but wouldn't people who immigrate all the way to the U.S. be leaving for some reason? 1,4% of the people in Norway is now Poles. They are good people, at least 99% of what I've met. All the younger Poles, 15-40 years old, tells me that outside the politics, an average Russian guy, could certainly indeed drink with a Polish guy. The Poles (not all of course, everyone is different) are very sentimental, and does not care too much about what happened 70 years ago, some of them blamed Stalin, but not the Russian people, cause the Russian people has not really much with it to do. When I say Russian "people" i mean civilians, therefor not the people that did anything of what that happened. Anyhow; great discussion with epic arguments. As Taurus said; "And I think that's enough about that." So I'll leave it at this. Being smug isn't going to help your situation here, if it was all your 'humble opinion,' then you should have stated it like so. Don't make me quote your previous paragraphs to prove my point that things got out of hand when your started to step up to defend some odd perception that comes from a small percentage of Polish people, and Gabriel made a good point, I like that, but that was a bit more directed towards the homefront so to speak. And if that's really what you meant by 'You need to read up on your history,' then maybe you should have wrote it out like that instead of being blunt and direct towards another persons intelligence? Because quite honestly I don't see how anyone else could perceive that differently other than an attack on a persons intelligence, and your rebuttal to my statements addressing this further fortifies that belief. Trying to turn this argument around and trying to make it look like it was my fault and my misunderstanding isn't going to work here, and it damn well won't make things 'OK,' with me. LOL! The maturity level here is amazing.